Any developer will tell you that technical documentation is pretty terrible — but necessary. Stack Overflow, which has been handling Q&A for years, thinks it can fix it with a new tool. The aptly named ‘Documentation’ (still in beta) will rely on actual examples more that wording. 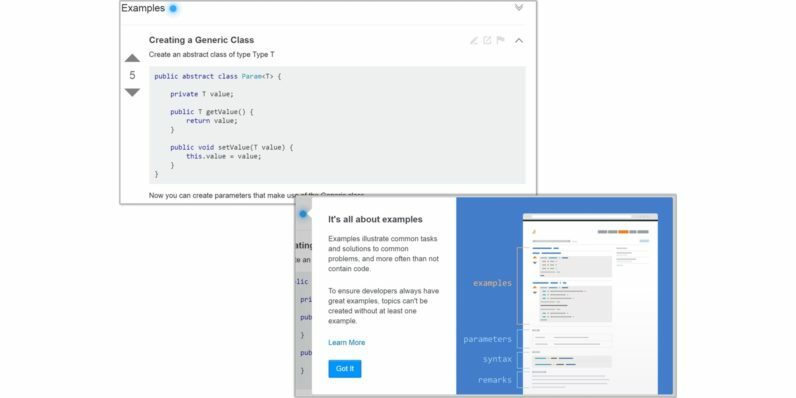 Instead of digging through hundreds or thousands of words to get an idea of how to move forward, Documentation will use straight-up code to get a point across. That’s not really new; documentation typically has code snippets included, but Documentation puts it at the forefront. Best of all, anyone can add a code snippet as an example, making documentation an evolving process. Documentation works as you’d expect from Stack Overflow. Posts can be voted on (up or down, naturally), are collaborative and will be covered by the same CC-SA license as Q&A posts. Whether you’ve come to ask questions, or to generously share what you know, remember that we’re all here to learn, together. Be welcoming and patient, especially with those who may not know everything you do. Oh, and bring your sense of humor. Just in case. Major players like Microsoft, PayPal, Twilio, Dropbox and Xamarin are early adopters of the platform, too. Stack Overflow has always been dogged by one simple issue: patience. Experienced coders are often fairly impatient of those with less know-how, and it shows. That will likely never go away in Q&A, but Documentation helps to filter that. In its blog post, Stack Overflow cryptically says “most” developers will be able to contribute to Documentation, but doesn’t offer what qualifies users to chime in. And Stack Overflow isn’t really easy when it comes to discovery — which is why it has so many overlapping posts. Documentation helps you find what you’re looking for faster. A quick dive into the ‘Swift’ tag in documentation (my language of choice!) returned a series of how-tos for things like Tuples and Enums. While Documentation doesn’t answer questions granularly, it does get straight to ‘best practices’ for a language or technology, which are often how Q&A posts are answered anyway. Over time, Documentation may just be what Stack Overflow becomes rather than a new feature.